You know that every month is a busy one at Third Place Commons. But with everything from an indoor holiday farmers market & crafts fair to dance recitals and dance lessons to holiday concerts and beloved children’s entertainer Caspar Babypants – plus weekly live music and dancing as always – December is moving into overdrive! Here’s a quick overview of just some of the always fun, always free happenings in December. Visit the Third Place Commons calendar to find out more about each of these great acts. And big thanks to Merlone Geier Partners and the Town Center at Lake Forest Park for their continuing support for this fabulous program! Lisa Toner Violin Recital, Sat, Dec. 1, 1:00 PM – Violin students, age 5-17, perform seasonal and classical favorites. Here Comes Santa Claus – WA School of Dance, Sat, Dec. 1, 3:00 PM – Celebrate the season with dancers ages 7-18 in a series of holiday performances in ballet, tap, jazz, contemporary, and musical theater. Shorecrest High School Chansons, Sun, Dec. 2, 1:00 PM – This select group of acapella singers perform throughout the country – including at Carnegie Hall! From classics to the hits, a variety of genres will be performed to your ear’s delight! East Coast Swing Dance Lesson, Sat, Dec. 8, 6:00 PM – Celia Boarman, professional dance instructor, will get you ready for the dance floor with a fun and upbeat, all-ages lesson. No partner necessary. Meet by the stage. Swingy! A Special Holiday Dance Party, Sunday, Dec. 9, 6:00 PM – The Northwest’s premiere rockabilly band has recently returned from their European tour, ready to “rock this town.” Bring your dancing shoes and expect to hit the dance floor when the band starts playing. 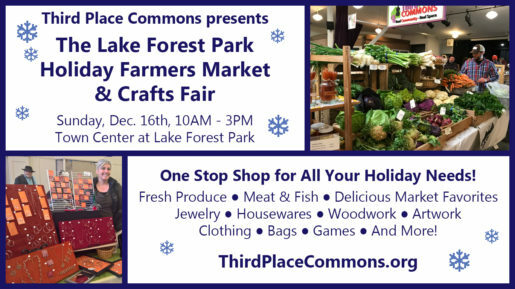 Holiday Farmers Market and Crafts Fair, Sun, Dec. 16, 10:00 AM – 3:00 PM – One last farmers market to get you through the winter plus the ever-popular annual Holiday Crafts Fair for all your holiday shopping. More details to come! Milner Family Fiddles, Sunday, December 16, 11:00 AM – Texas style bluegrass from our favorite locals will provide a soundtrack for your lunchtime visit and indoor market shopping. Computer Q&A: Five Reasons Why Your Computer Is Slow, Sun, Dec. 16, 1:00 PM – System slow-downs can be very frustrating and difficult to figure out. Learn about the most common reasons for this… and what you can do about it! Caspar Babypants: Keep It Real Concert! 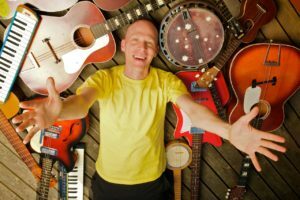 Thurs, Dec. 20, 10:30 AM – Sing and dance along with one of the most popular children’s performers in the Northwest for an all-ages family concert. Caspar Babypants always packs the house and for good reason! Presented by the Lake Forest Park Library. Your Commons community is waiting for you, and you’ll find even more to do on the online calendar. So take a break from the holiday hubbub and head to the Commons for the holly-jolliest of months! 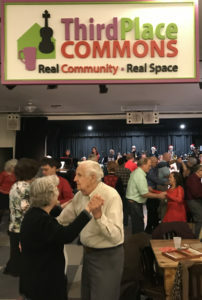 Third Place Commons is a community-supported 501(c)3 nonprofit organization dedicated to fostering real community in real space. With your help, we’re building your community in your space. Please consider a year-end gift to support great community programming like this and hundreds of other free events all year long.